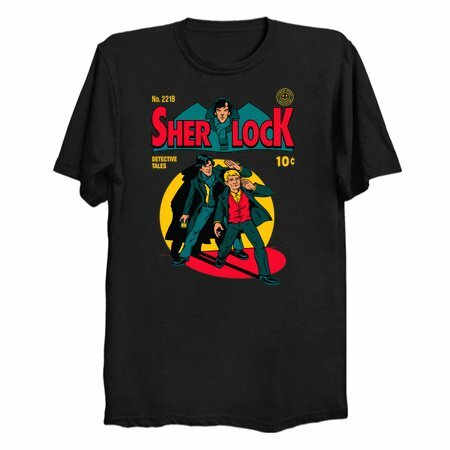 The monthly adventures of Sherlock, the resident of Baker Street world renowned for his mental acuity and unique fashion sense can now be yours thanks to the monthly series Sherlock. It’s full of adventures that require deducing, sleuthing and smarmy wisecracking, the kinds of things Mr. Holmes considers to be his bread and butter. 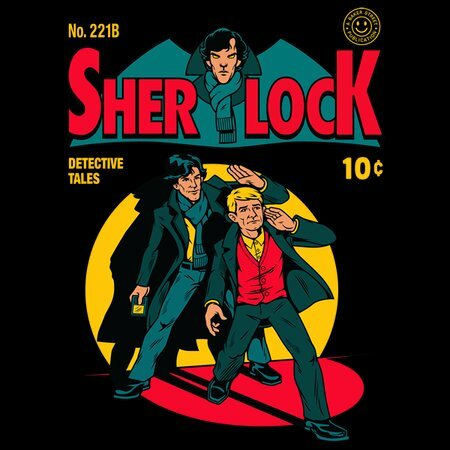 Slip on a copy of this Sherlock Comic t-shirt by Harebrained Design and watch your ordinary world become laced with an air of intrigue, as mysterious figures emerge from the fog to get a better look at your shirt and you play amateur detective with your dog named Watson.